Love music? 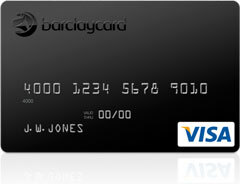 Get exclusive offers and rewards from Barclaycard with the iTunes Rewards Visa Card. Earn points toward iTunes Gift Cards with every purchase and redeem them for music, movies, apps, and more. The official credit card of the Apple Store, iTunes Rewards Visa cardholders earn two iTunes points for every dollar spent at any Apple Store (online, retail, or by phone) or the iTunes Store. Or earn one iTunes point for every shopping dollar on purchases everywhere else. Get 1,000 bonus points with your second purchase and a $25 iTunes Gift Card when you reach 2,500 points. Imagine getting all these bonuses just for buying and listening to the music you love. There is no annual fee, so apply here.